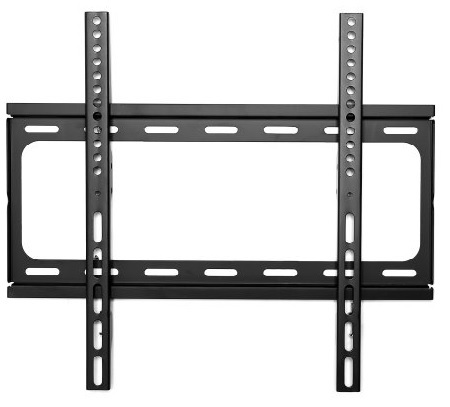 When shopping for a TV wall mount you will need to first decide what type of mount to purchase and then select one that matches the VESA mount specifications of your television. After selecting the style of the mount verify the mount supports the VESA pattern of your TV. A VESA hole pattern is measured in both horizontal and vertical distance between the mounting holes. A VESA of 200mm (V) x 200mm (H) means your mounting screw holes are 200mm apart. Check the chart at the end of this document for your VESA TV pattern. Next confirm that you are using the correct screws to mount your TV. Using screws of the incorrect length can damage your TV, which is not covered under your manufacturers warranty. Typically mounting kits provide screws and some provide spacers. Follow the mounting kits instructions but confirm you are using screws of the appropriate length. Refer to the chart at the end of this document for your correct mounting screw size. Also confirm that your TV weight does not exceed the maximum weight rating of mount. Refer to the chart at the end of this document for the hanging weight of your TV. 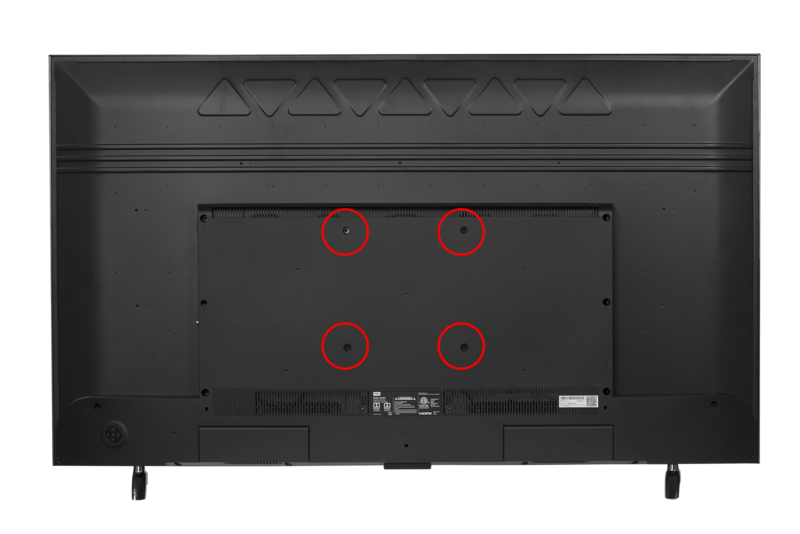 After you have verified the VESA pattern, screw length, and weight requirements of your TV follow the mount manufacturer's instructions for mounting your TV. It is recommended that you take a photo of your serial number tag on the back of your TV prior to mounting. This will allow you to pull up your TV serial number should you require warranty service in the future. Fixed mounts are the simplest mounts, providing the least amount of options. With a fixed mount the TV will sit close to the wall and not allow movement or tilt. 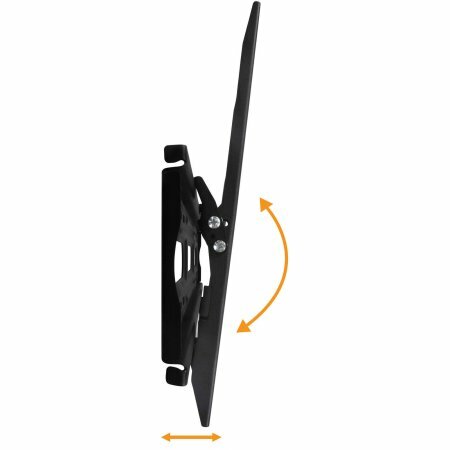 Tilt mounts sit a few inches from the wall, allowing the TV to tilt up and down at an angle. Tilt and swivel or Full motion mounts allow the TV not only to tilt up and down but also angle left and right. 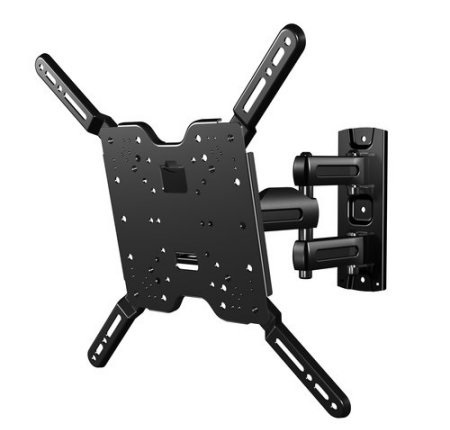 These sort of mounts typically extend the TV a few to several inches from the wall. Below are the mounting screw hole locations. The example below is a 32 inch TV. 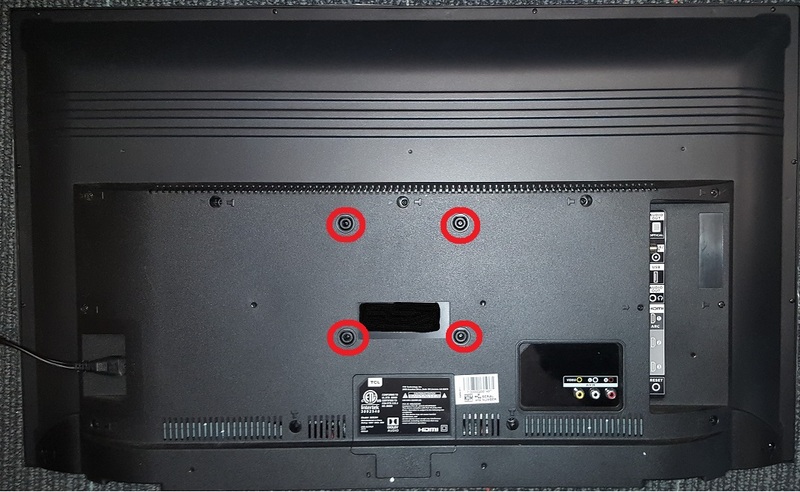 The photo below shows the mounting screw hole location on a 55" TV. What are the parental control features found on recent TCL television models?